It's about time for my review of Plants vs. Zombies 2: It's About Time, so here we go. 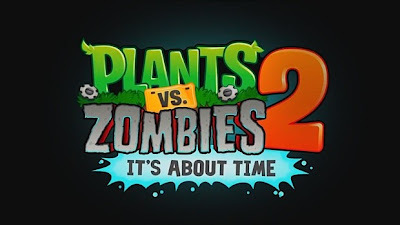 As one of the most anticipated app games of 2013, the sequel adds new characters and plants that add to the game play that we know and love. However, with the noticeable lack of mini games, a final boss stage as well as making the game an in game purchase model, the sequel withers in comparison to its predecessor. I wouldn't say that that won't have fun. With three time periods to get through, and numerous variations of stages and missions to accomplish, you'll be challenged but only to a certain extent. While I haven't unlocked all side roads and captured all stars, I did relatively easily breezed through the main roads for all three time periods within a week. 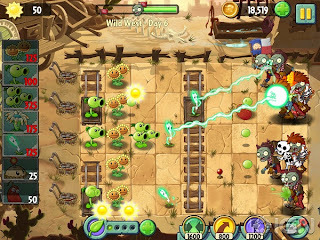 The biggest challenges I found was the "Save Our Seeds" levels where there are plants near the front line that you cannot remove or move but must protect from the oncoming onslaught of zombies. For those levels be sure to have Wall-nuts in front of the endangered plants. Preferable 2 columns in front. This way you can put a Bonk Choy behind the Wall-nut to take out enemies blocked by the Wall-nut. Between the three time periods, I can't say I really have a favorite. All three presents different challenges that I find fun. From Ancient Egypt, I particularly love the sun stealing Ra Zombie, the Camel Zombies (especially freezing a whole row of them! ), and the juggernaut Pharaoh Zombie. The two toughest of that stage for me or annoying at least is the Explorer Zombie who can burn away your defenses and Tomb Raiser Zombie. With regards to the Pirate Seas stage, I particularly love matching my Coconut Cannon against the Imp Cannon to see who can get a shot off first. But the most annoying zombie for this stage would have to be the Zombie Parrot which accompanies the Pirate Captain Zombie. He sends in the parrot towards one of your plants to take it off of the stage. 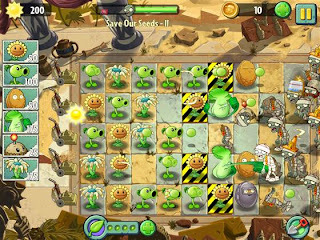 If you have at least two rows of plants that attack behind the object he is taking, then you're usually safe in taking him out before he flies away with it. With regards to the Wild West, it's probably the most difficult of the time periods because of its rogue gallery of zombies as well as the interesting challenges the tracks presents. 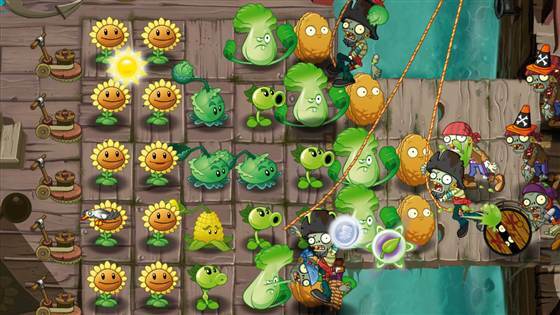 The train tracks limit the amount of plants you can plant so careful planning is needed in each level. Usually, I would just put my most heaviest hitter in the train cart. 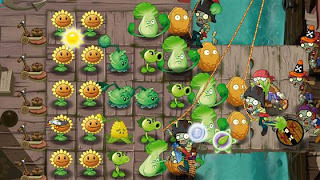 As far as the zombies in this level, the three most challenging ones that come to mind are Prospector Zombie, the Pianist Zombie, Chicken Wrangler Zombie and the Zombie Bull. The Prospector Zombie is just like the Mining in the first game in that he'll try to go to the back and work his way forward. He is usually not that hard to take out. As well you can use an Iceberg Lettace to his extinguish his dynamite. The Pianist Zombie reminds me of the Dancing Zombie but much more deadly. While the Pianist doesn't summon new Zombies, he does shift all the Zombies on the screen which can create havoc. A Spike Weed can easily take them out. The Zombie Bull is similar to the Gargantuar in taking out everything in its path. Both also having imps on its back for getting behind your defenses. Chicken Wrangler Zombie is one of the most interesting new zombies. He can summon a flock of chickens on stage to attack you. It doesn't take much to take them out, but when they attack in great numbers they can easily overwhelm your defenses that have slow attack speed. Overall, I would still recommend this game to friends. The graphics and game play are good. The Crazy Dave humor is entertaining as usual. There's no news yet on when the boss stage (Far Future) will be out. Hopefully when it is release it adds more to the game than just another level and still be free. 2) Lightning Reed is my friend! It's great for taking out multiple enemies and has incredible range. 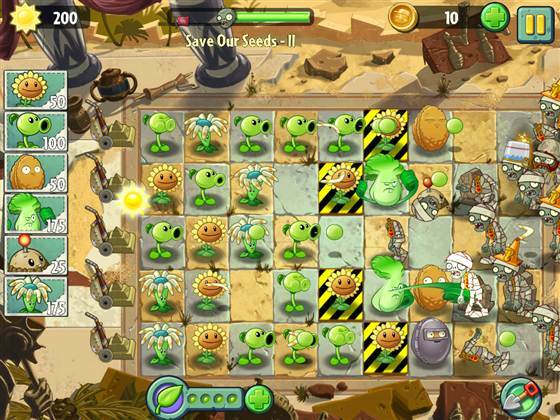 3) In levels where you have to produce a certain amount of Sun, use the Plant Food on a Sunflower to produce more quickly. 4) As far as gates you should unlock, go for the upgrades first. Sun Boost in Ancient Egypt and Extra Seed Slot in the Pirate Seas before unlocking others first. 5) On levels where you have to take out the Yeti, save a Plant Food for one of your attackers to take it out easily before it escapes. 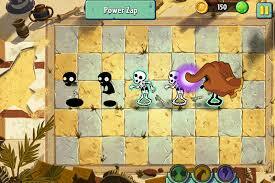 6) On levels where you face huge armies, use a Plant Food on a Corn to unleash a rain of butter to slow things down. It's especially effective against the Seagull Zombie. 8) When you have no choice but to use a power ability, while the Power Pinch is the cheapest, I find the Power Zap more worth it for its cost given its speed and cost.